This is Stellarvue's Flagship 152 mm f-8 Apochromatic Triplet Refractor. The high Strehl FPL-53 Ohara triplet has a conventional front element, Ohara FPL-53 center element and Lanthanum rear element for extremely sharp and high contrast performance. The aluminum tube is power-coated in our Instrument White color and the dew shield has the Stellarvue logo engraved on it. This particular model comes with the Moonlite Nitecrawler 3.5" rotating focuser and threaded adapters to allow for visual and photographic use. SVX series optics are rated at .98 - .996 Strehl with excellent optical correction for aberrations commonly seen in mass produced optics. To attain this level of optical accuracy it is usually necessary for us to go beyond machine polishing. Special tools are made and experienced opticians hand figure objectives here in our optical shop in Auburn California. While our former models (without the X designation) were all excellent coming in at .95 Strehl or higher, SVX series telescopes are even more exceptional, placing 98 - 99% of the light precisely where it should be. Stellarvue Premier (X) Series refractors are for the astronomer who recognizes the best when they see it. Each SVX series refractor comes with a Zygo interferometric test report taken in our shop, documenting the final accuracy of your objective! This is our highest resolution telescope which performs flawlessly as a visual or photographic instrument. To use it photographically, order the correct field flattener or field flattener/reducer (see below). The amazing Moonlite 3.5" focuser has short focuser travel to hold even the largest/heaviest accessories without strain. Numerous large extension tubes allow for various accessories to be used and it comes with both a visual back for 2" eyepieces, a 1.25" adapter and a threaded M75X1 adapter for use with various Stellarvue photographic field flatteners. 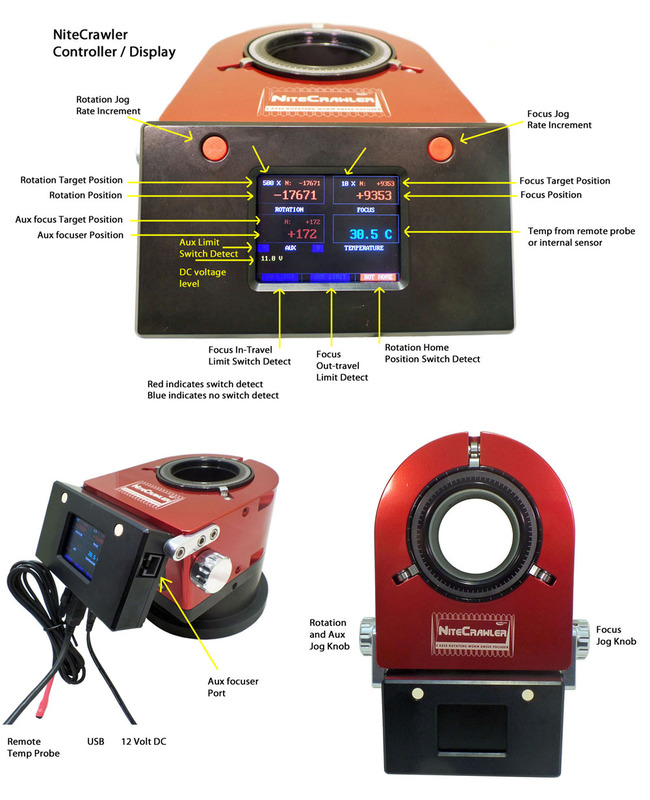 This focuser can be used manually or with a hand control. For more information on the Moonlite Nitecrawler 3.5" focuser visit their website. American machined rings are strong and stable, made of 6061-T6 aluminum precision cnc machined to exact tolerance. Cast rings can break, our rings never do. The telescope comes with our Losmandy-Style 13" D plate and a heavy-duty, American made Roadie-style case with wheels, a handle and solid 3/8" plywood walls (This is a durable and strongly padded hard case - it is not the typical cheap import case). Also included is our F50W2 finderscope with illuminated reticle eyepiece and R050FA Finder rings. Each lens is tested here to meet our APO Triplet standard with straight lines, .98 or better Strehl ratio and an excellent Airy disk. Using the best glass combined with highly accurate figuring and continuous testing throughout the process, this is as good as it gets. We now have two videos that demonstrate how we prototyped and how we now hand figure these objectives. The first video was shown on national television when we were selected as one of the world's greatest telescope companies. It is under four minutes in length: Video 1. The second video is 18 minutes long and much more in depth. Dennis DiCicco of Sky and Telescope magazine visited us and we demonstrated what we do: Video 2. We are nearly out of lenses on our first run of 50 units. We will be starting our next run soon. So, order now if you want your telescope before summer or wait until the next run which we plan to complete this Fall. Updates are sent out regularly to those waiting. Your lens will be meticulously and individually hand figured here in Auburn CA to the highest optical standard. 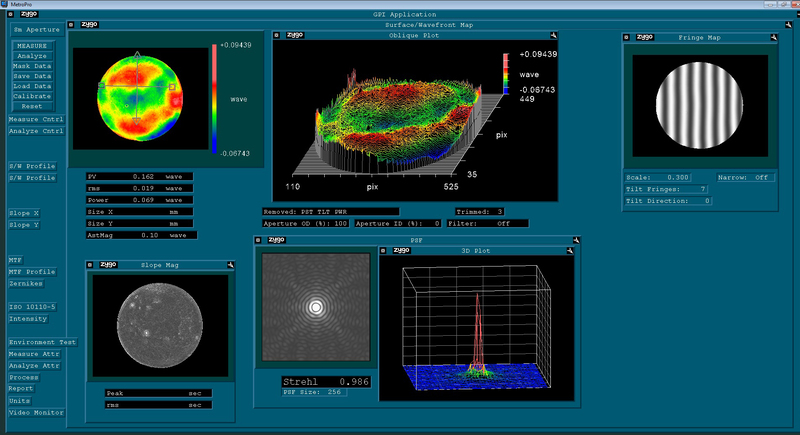 Performance of your lens will be documented here using our Zygo laser interferometer. This test report will certify the actual performance of your lens and will be provided with your instrument. These are the sharpest 6" apo lenses we have ever made and ever seen! All SVX152T lenses are .98 - .99 Strehl as measured at 100% on our 6" Zygo phase-shifting laser interferometer. To image with this telescope at 1200 mm f-8, use the SFF4-152T-35SV photographic field flattener. A much larger SFF5-152 field flattener that will provide a 90 mm image circle is in progress and will be available when completed in 2019. To image at 900 mm f-6 use the SFFRR.72-152-48 photographic field flattener/reducer. A larger field flattener/reducer with a 52 mm image circle for use with the 152T is in progress and will be available when completed in late 2019. "I just took delivery of SVX152T s/n 004, and it was well worth the wait. Contrary to the first law of new telescopes, we had a brief interlude of clear skies with outstanding seeing. There were intermittent clouds forming so there was no time to dwell on any one object. I tended to associate “pinpoint stars” with marketing hype, but damn! This scope is awesome. The Orion Nebula revealed fine detail and the Trapezium stars were tiny dots. The Double Cluster in Perseus had that pearls on black velvet look and drew oohs and aahs from my wife and neighbors. Mars and Uranus presented well defined disks when viewed through the Stellarvue 4.7mm Optimus eyepiece. M1 was another interesting item that stood out clearly with good definition. However, the most telling observation I made was when I turned the SVX152T on Rigel with with the 4.7 mm Optimus. The scope really set up well with my Astro-physics Mach 1 mount and even at this high magnification I was dropping objects right in the center of the eyepiece. I selected Rigel because I want to see how the scope handled a really bright star. As expected, there was no chromatic aberration or distortion. Almost all of the light energy was concentrated on a tight point with a faint airy disk. I wasn’t even thinking about Rigel B, and I was stunned to see it pop out so clearly. This truly is a great scope. My thanks to Vic Maris and the Stellarvue team for producing such a fine instrument. Free shipping: Order now and when ready the telescope will ship free to the lower 48 states only. Shipping will be either UPS or Fed Ex whichever has the lowest rate. You may either order online and pay full price or call us and place a phone order with a $500 deposit. Either way you will be placed in line when payment or deposit is received. We build these hand-crafted telescopes one at a time so the sooner you get on the list, the sooner you will receive yours. For more information contact us at (530) 823-7796 or email vic@stellarvue.com. All aluminum, Instrument White, fully baffled, 6 1/8" diameter tube. Telescope is 41" long with dew shield retracted and 48.5" long when extended.Dew Shield:Retracting aluminum dew shield that is 7 3/8" diameter and 11 3/4" in total length. Instrument white color, laser logo engraving and black anodized aluminum fittings. Optical tube assembly is 31 pounds total with the rings and TP-13 Losmandy style rail added. Focuser:Massive 3.5" Nitecrawler WR-35 focuser. Fully motorized and rotating. Very heavy duty, American made cnc mounting rings using 6061 T6 aluminum plate. Five threaded 1/4-20 holes top and bottom spaced 1.5" and 60 mm apart with one in the center. 5 mm side hole for reflect finder mounting. Heavy duty American made roadie style hard case made of 3/8" plywood, durable hard cover, handle and wheels, Stellarvue F50W2 correct image optical finder with rings included. We recommend the complete Optimus Series for the highest performance. Optional. SFF3-152 for shooting at f-8. SFF5 flattener with 90 mm image circle in progress for completion in 2019. Optional SFFRR.72 reducer flattener for shooting at f-6 and a larger .75X Flattener-Reducer is in progress for completion early 2020. 471.5 times that of the naked eye. Depends on seeing conditions. There is no reason a high end, hand crafted Apochromat cannot be taken to 100X per inch under steady skies.